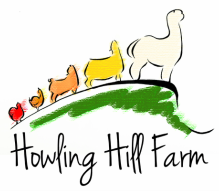 Howling Hill Farm specializes in producing grey and patterned Huacaya alpacas, with a particular emphasis on the harlequin appaloosa and classic tuxedo grey colors. We strive for a very high standard of quality that encompasses type, conformation, fiber, and temperament. We are working hard on our Huacaya alpaca bloodline, and we are proud of what we have achieved thus far. We also work with Harlequin and Babydoll Southdown Sheep. Howling Hill Farm is also the home of AppaloosaAlpaca.com, your source for all things Harlequin Appaloosa alpaca.